I remember the sweaty, battered face staring at me from the cover of Sports Illustrated in 1975, a face that had taken plenty of punches, and was lining up to take more at the hands of The Greatest. 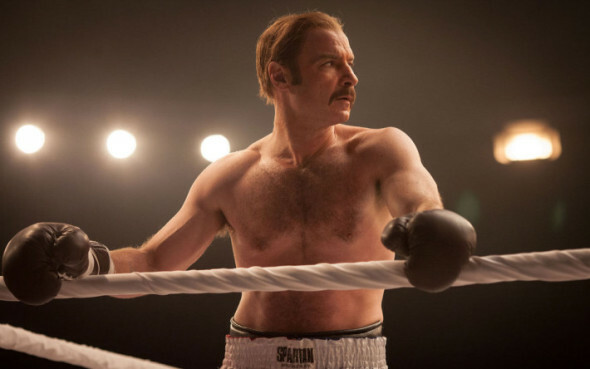 Chuck finally gets the story of the real-life Rocky on the screen, utilizing painful honesty, subtle humor and a compelling performance from Liev Schreiber to craft a touching look at hard lessons learned. Director Philippe Falardeau (Monsieur Lazhar, The Good Lie) gets the 70s period details just right, and surrounds Wepner’s shot at the title with cinematic versions of the cliched boxer looking for his chance to be a contender, sharply illustrating how much Wepner defined all that is celebrated about life in the ring. Besting all expectations, Wepner’s plan to “wear (Ali) down with my face” lasted into the 15h and final round, and he became one of the few opponents to actually knock Ali to the canvas. His increased celebrity status, and the news that the Oscar-winning Rocky was based on his life, only fueled Wepner’s primal urges and accelerated a downward spiral that included drugs, divorce, and fighting live bears. Schreiber is transformational, adopting the voice, gait and body control of a lumbering man with a good heart and great survival instincts, but a child-like self control that often betrayed him. Schreiber commands the screen without ever being showy, blending easily with an outstanding supporting cast that includes Naomi Watts, Ron Perlman, Jim Gaffigan, Michael Rappaport and Morgan Spector (as Stallone). Familiar in theme but illuminating with its intimacy, Chuck is a fascinating glimpse at life imitating art imitating life.